What we can do about Trump’s escalating lies? The problem isn’t just the number or flagrancy of the lies – for example, that Putin and the Russians didn’t intervene in the 2016 election on behalf of Trump, or that the Mueller investigation is part of a Democratic plot to remove him. And it’s not just that the lies are about big, important public issues – for example, that immigrants commit more crimes than native-born Americans, or trade wars are harmless. 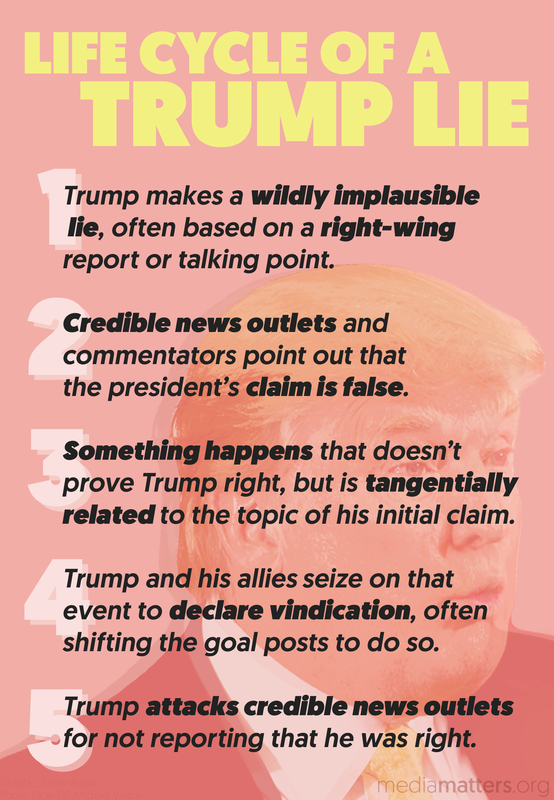 The biggest problem is his lies aren’t subject to the filters traditionally applied to presidential statements – a skeptical press, experts who debunk falsehoods, and respected politicians who publicly disagree. The word “media” comes from the term “intermediate” – that is, to come between someone who makes the news and the public who receives it. At his recent rally in Great Falls, Montana, Trump made 98 factual statements. According to the Washington Post’s fact checkers, 76 percent of them were false, misleading or unsupported by evidence. So you need to be active now, before Election Day – on behalf of the truth.